Where do you cut costs in a down year? It’s often said that drastic times are cause for drastic measures. So what do you do when hay prices reach levels not seen in many years and you’re in the business of selling hay? That was essentially the question asked by University of California forage specialists Steve Orloff and Dan Putnam in a recent survey sent to Western hay growers. 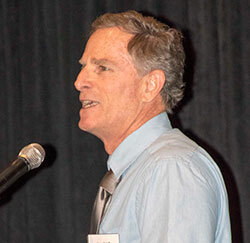 Orloff, an extension farm advisor in Siskiyou County, shared the survey results at the California Alfalfa & Forage Symposium held in Reno, Nev.
Orloff suggested looking at each input individually to decide where the most appropriate cost-cutting measures might be. A total of 151 hay growers from six Western states responded to the survey. When asked, “What did you do in response to low prices in 2015 to 2016?” the most frequently returned response was to purchase less equipment (42 percent of respondents). Orloff noted that the decision to purchase new equipment really depends on the condition and age of your current machinery line. He said that if a grower has the available funds, sometimes equipment purchases in a down year might result in being able to negotiate a favorable price. 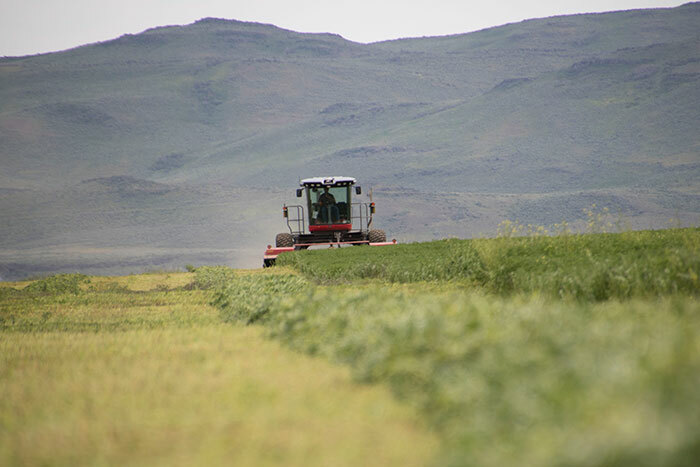 The second most popular answer was to cut alfalfa fields more frequently for higher quality (32 percent), which hopefully would translate to an improved selling price. Orloff noted that 40 percent of respondents made no change to their cutting schedule, surmising that many were already cutting at an accelerated frequency. For those growers who did change their cutting schedule, either shortening their cut interval or some combination of shortening and lengthening, the interval accounted for most of the strategy modifications. The third most indicated change was not to plant any more new fields (31 percent) followed by reducing or eliminating fertilizer inputs (28 percent). As for the latter, Orloff noted that the smart play is to test soils and plants so that fertilizer rates can be more easily scrutinized for an economic return. About 26 percent of respondents said they abandoned lower producing fields and 21 percent noted that they essentially made no major changes in their management or spending strategies. Other changes with over 10 percent of respondents answering in the affirmative included reducing work force (21 percent), improving irrigation management (19 percent), and using less insecticide (17 percent). Those cost-cutting measures receiving less than a 10 percent response rate included applying less water per cutting, curtailing irrigation after midseason, reducing tillage prior to planting, seeding a cheaper variety, and cutting back on seeding rates. On the topic of irrigation, most growers recognized that irrigation is one of the most critical inputs for Western alfalfa production. Orloff mentioned that there are two strategies that can be used in a low price year that may boost profitability. One is to simply apply less water per cutting than the crop actually requires for full yield. This could be done where a minor water deficit exists. The other approach is a cutoff strategy where irrigation ceases part way through the season, sacrificing subsequent cuttings. Orloff suggests this approach only be done where a significant water availability deficit exists. “Most of our yield occurs in the early half of the season, so don’t shortchange those early cuttings; make sure they get enough water,” Orloff said. In most cases, Orloff does not believe it’s necessary to irrigate after the last cutting, though he did emphasize the importance of having a full soil profile going into the spring. “Not many producers cut back on alfalfa seeding rate, but I believe this an area were there is cost-savings potential,” Orloff said. “With some of the new drills that are out there and with proper seedbed preparation, we can do a good job with lower seeding rates.” He did not see a need for seeding over 25 pounds per acre.